As an independent contractor in the travel industry, it is up to you to pay taxes. The best tax tip for independent travel agents is to hire a Certified Public Accountant (CPA). A CPA could ultimately save you money and offer you a bigger tax break than you may have been able to uncover on your own. Just like you are considered an expert in your field and must stay abreast of destinations, offerings and preferred vendors; a CPA is your expert who stays up-to-date with the latest in accounting and tax information. Your clients do not know the difference between airport codes PDX or PWM. They rely on you to get them to Portland, Maine, and not Portland, Oregon. Similarly, your CPA understands IRS tax codes to best advise you when filing your taxes. Expert assistance can save you in both time and money. Keep your business and personal accounts separate. 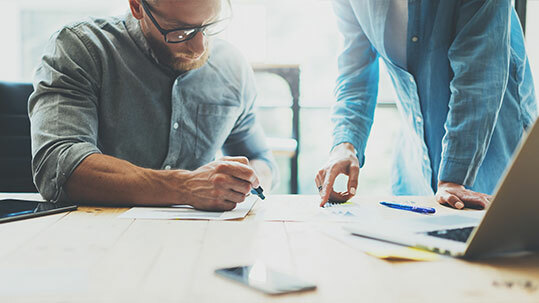 If you’re not an incorporated company, you may not be required to keep a separate bank account for your business—but it’s still a good idea for a number of reasons. This alone can save your precious time and money by reducing the chance of accounting errors and maximizing tax returns. Trying to remember what you have spent money on six or even nine months prior wastes your time. Rather than scrounging around for receipts, consider using new technology to make life easier. Expensify is a free mobile app that lets you take photos of receipts, then automatically record and categorizes each business expense. Accounting software for small businesses include QuickBooks or Sage 50, and free programs like WAVE can help small business owners track expenses, record invoices and generally stay on top of bookkeeping.